Digitization has brought tremendous benefits to multiple industries, including trade, banking, and healthcare, but it has also made organizations more vulnerable to cyber threats. For that reason, data security has become one of the top priorities of companies in the digital era. No industry is immune to cyber threats. Over the years, the world has seen a dramatic increase in online attacks. Not only are these threats increasing in number, but they are also getting more sophisticated. With more companies embracing digital technologies and the Cloud, it’s now more critical than ever to have systems and processes in place to protect your data. But the question is, how? Many business leaders and experts believe that artificial intelligence (AI) and machine learning (ML) is the answer. At the 2018 Oracle OpenWorld, an annual conference on innovative cloud technology, experts acknowledged AI’s potential to reshape the world of business. CEO of Oracle Mark Hurd was one of them. He predicted that cybersecurity and AI are going to change business models by 2025. Oracle’s founder Larry Ellison also stated that AI will play an important role in helping businesses to identify, assess, and even solve online threats. He confirmed that Oracle is working on AI, and will be leveraging it to make business data more secure. Ellison also commented on how Oracle’s next-generation cloud will make data a valuable corporate asset. According to him, developers have become more productive because of the autonomous cloud, which allows for greater reliability and shorter development times. At the conference, Oracle also announced that they are hosting their cloud services from nine new locations. They expect these data centers to be up and running by next year. AT&T CEO Thaddeus Arroyo also provided valuable insights at the OpenWorld conference. He recommends that businesses should leverage the Cloud and AI to engage with their consumers. This will not only enable better customer experiences, but it will also increase data security. By using AI and machine learning capabilities, businesses will have the ability to protect their systems and networks from organized cyber attack groups and also predict attacks before they happen in the first place. As business operations become increasingly digitized, companies must embrace data security best practices or risk losing their valuable data — and customers. Although AI-driven apps and the Cloud will help improve productivity and enhance customer experience, organizations and their data may still remain vulnerable to online attacks due to growing political imbalances. According to the President of Eurasia Group, Ian Bremmer, the global economy is gradually growing at 4%, but the geopolitical situation isn’t looking as great. For starters, the US and China can’t agree regarding economics and politics. If a business enters China, for example, the Chinese government handles all the decisions related to its strategy within the country. As an economic superpower, they also influence other governments across the globe to follow in their footsteps. Research and advisory company Gartner states that global information security is bound to go over $124 billion in 2019. As for worldwide spending on data security applications and services, it’s expected to exceed $114 billion in 2018. That’s a 12.4% increase from the previous year. Remember that the cost of security breaches is increasing significantly as well. Despite their different political situations, all governments and businesses need to respond to the growing risk of cyber attacks. And intelligent systems are the breakthrough idea we need in data security. It should help us secure IT environments against ever-evolving threats. Business leaders like you should be aware of the new risks associated with emerging technologies. These threats could disrupt your operations and compromise your private information. You should also know that while the security industry is facing many cyber threats, there’s also a shortage of skilled workers to help you protect your company from these attacks. 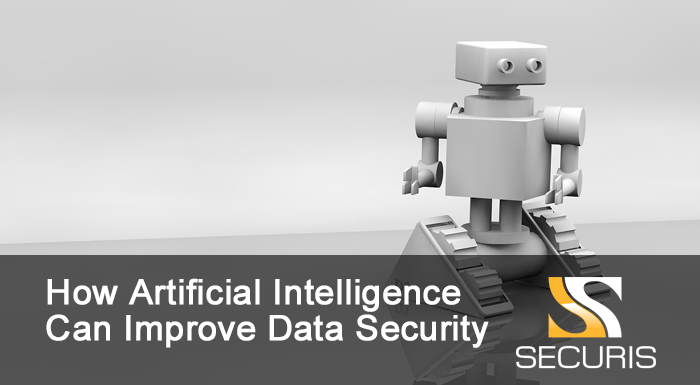 But with AI and machine learning automating the detection and response against cyber threats, companies such as yours can lessen the burden on employees and handle these attacks more efficiently. To learn more about how Securis can help protect your data, please contact us today.